Okay the heat these days is unimaginable and I find myself soaking garri(Garium Sulphide). My mother keeps screaming “Nma it will ruin your eye sight!” But in all honesty, I cannot stop the garri soaking. 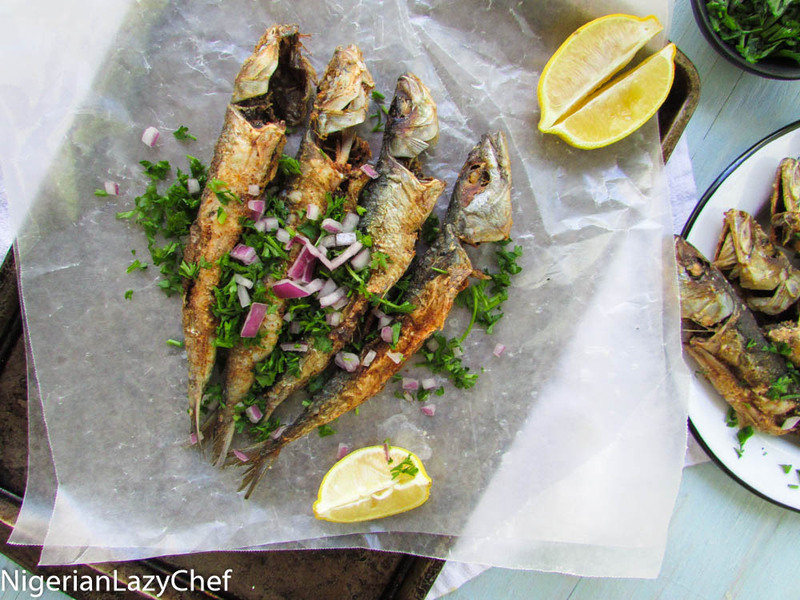 Then with the addition of the fried sardines as a side, I have not been able to help myself. I know you will ask “sardines?” and my answer is “Yes oh, Sardines!” Not the canned sardines, but the fresh ones; head on and everything. 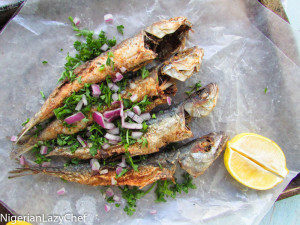 If you do not like Sardines, feel free to try other kinds of fish. 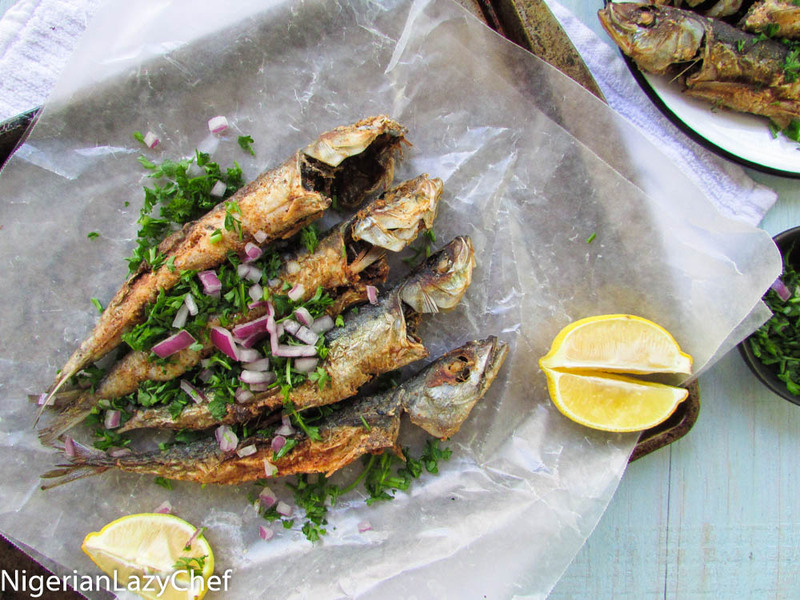 The Indian Mackerel is a great fish to use for this recipe too. I made the use of corn meal, for an extra crispy effect and I have to say, I love! You may also make it gluten free by using only corn meal. Hence the versatility. What is there not to love?! 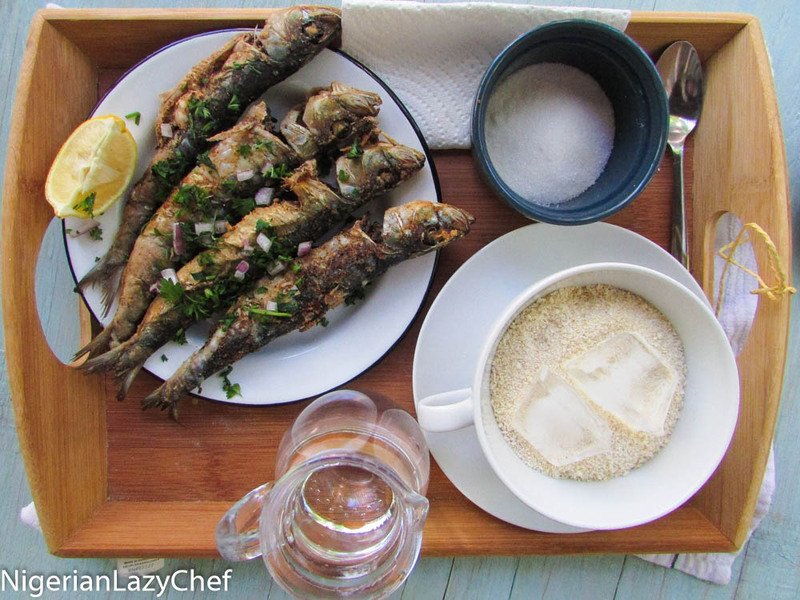 This entry was posted in Eating Healthy, Fish Curry, Fish peppersoup, Fish recipes, Fish Recipes, fresh fish peppersoup, Fried fish, Grilled fish, Healthy Eating, Healthy Nigerian, Healthy Nigerian Dishes, Lunch, Lunch ideas, main dishes, Nigerian street food, Protein Dishes, Side dishes, Small chops, Snack, Street Snack, Uncategorized and tagged crispy fried sardine recipe, crispy fried sardines recipe, deep fried sardine recipe, deep fried sardines, fried fish recipe, fried sardines recipe, Gluten free fried fish recipe, glutenfree fish recipe, grilled fish, grilled fish recipe, How to deep fry sardines, Nigerian fried fish, Nigerian fried fish recipe, roasted fish recipe. 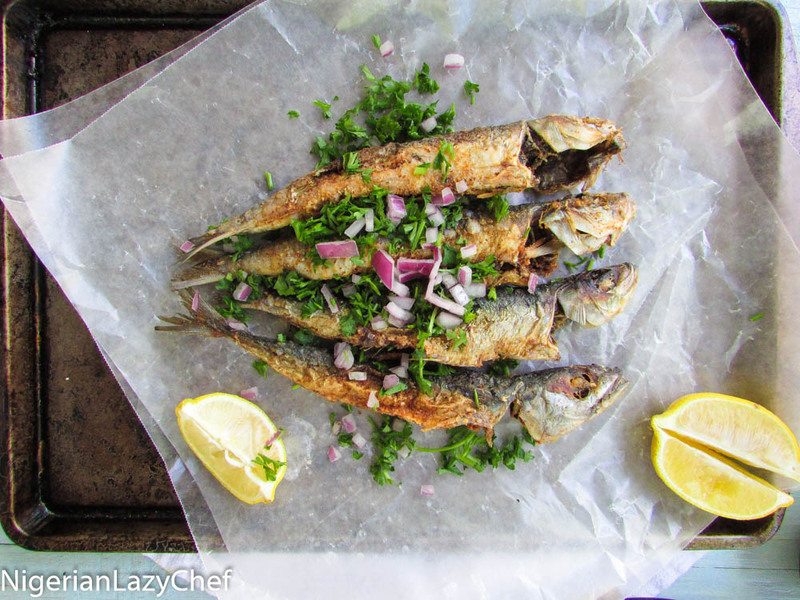 Can you eat the sardines whole? They look so good! Thanks for sharing. Looking forward to trying the recipe.